At some point in time, we have all had to rent a car from a car rental company. For the most part, people generally rent from one of the major national car rental chains like Hertz, Enterprise or Avis. Unless you sign up for one of their memberships, getting a car from one of these chains can be a gigantic pain. Long lines, lots of questions, sometimes unruly customer service, and let us also not forget that sometimes the car you reserve is not even available when you show up. And what are you supposed to do when you arrive at the rental counter after hours? At least at LAX, unless you are a Hertz customer, you are basically out of luck. Even if you are a Hertz customer, assuming you do not have their gold membership, you are stuck using one of their automated kiosks that can take up to 30 to 40 minutes just to get a car. Is there a car rental company out there that does away with the long lines, paperwork, and overall ridiculousness of renting a car from one of the major chains? 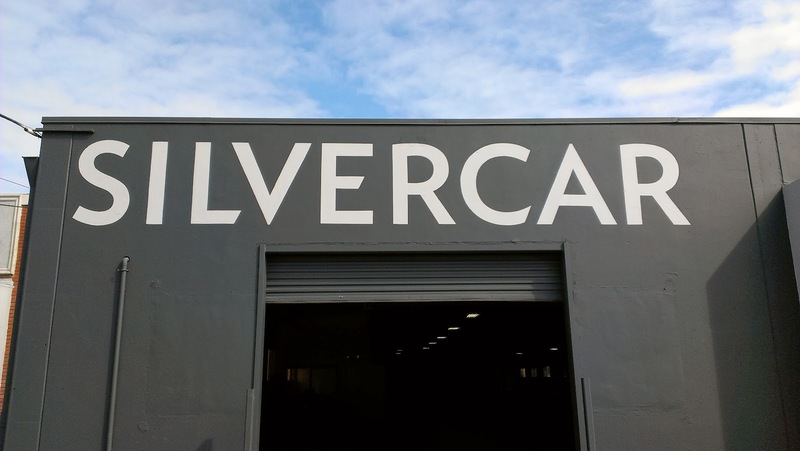 Enter Silvercar. I was able to experience Silvercar's services during the last week in February, after my S2000 was hit in a parking lot while I was at a doctor's appointment. Normally, I would have rented a car from one of the large rental chains, but all of the locations near my office, located near LAX, were looking to charge me an average of $75 per day for a subcompact vehicle (i.e. Mazda2 or a Kia Rio). After doing a quick search on Google for car rentals near LAX, Silvercar's advertisement popped up, promising that I was only a few minutes away from renting an Audi A4. Curious, I looked up reviews of Silvercar's services on Google and Yelp. After determining the service was legit and the reviews were good (4.5 out of 5 stars on Yelp), I went ahead and booked my car. The price? $45 per day, totaling $100 for two days including taxes and fees. This meant that I was getting an Audi A4 for $30 less per day than a Kia! Silvercar's business model is simple: do away with the lines and paperwork, and offer only one model and color of car to guarantee the car you "want" is always available. This streamlines the entire car rental process down to roughly 10 minutes, including the time it takes to make your reservation on Silvercar's website. It is actually quite a simple process. First, you make your reservation on Silvercar.com (if this is your first reservation, you will need to sign up for a profile and enter some additional info as well as download their smartphone app). Depending on where you are located, Silvercar will either send someone to pick you up, or you will need to take a shuttle to the rental location. 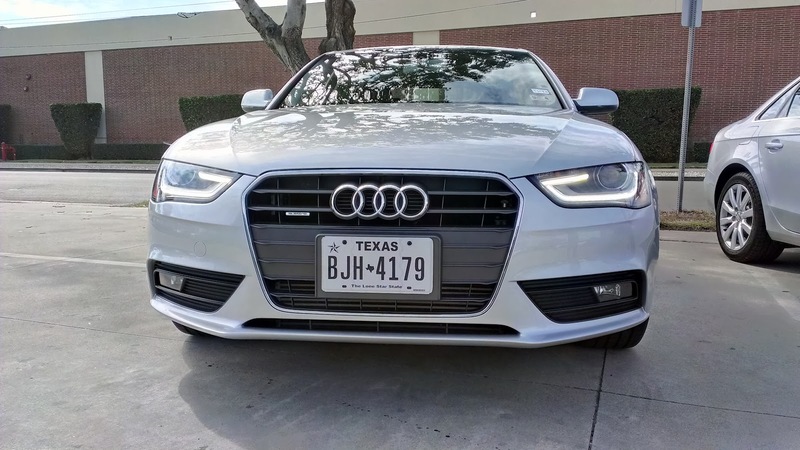 When you arrive at the Silvercar location, walk up to the car you want, scan the QR code on the windshield with the Silvercar app, and you are off with a well-equipped, silver Audi A4. Pretty easy, right? Returning the car is equally painless. Simply drive the car back to the rental lot where you are greeted by a Silvercar employee. The employee will check your car back in to their fleet, email you your receipt, and you are free to leave. The Silvercar location near my office is conveniently only three minutes away so I went ahead and scheduled a pick-up. When I arrived, a Silvercar employee came out and greeted me. After mentioning that this was my first reservation, the employee walked me through the pick up process, synced my phone with the car, and gave me a quick overview of the A4's systems. At the end of my two-day rental, I pulled the A4 back into the lot, where I was greeted by a different Silvercar employee who scanned the car back into their inventory, and went over the car with me to make sure I did not leave any personal belongings in the car. I received my receipt a few moments later in my email with a grand total of $99.32 for my two day rental. Of course, this total does reflect the 50% off discount Silvercar grants to first time renters. Silvercar's normal rate in LAX is $90 per day, which is still not bad to rent a luxury car. Besides, an extra $15 per day to rent an A4 over a Kia Rio is a small price to pay for a much more enjoyable experience. Overall, I am thoroughly impressed with Silvercar's service. As promised, the entire process was 100% painless from start to finish. Now if only renting a car from any car rental company could be this painless! The only downside right now is that Silvercar only operates near the following airports: Austin-Bergstrom International, Dallas-Forth Worth, Dallas - Love, San Francisco International, and Los Angeles International. If you happen to be flying into one of these locations, I would highly recommend Silvercar for your car rental needs...unless you have an aversion to the Audi A4. *If anyone is interested in Silvercar's service, use coupon code "Welcome50" without the quotes to get 50% your first reservation. The code is good until March 31st.